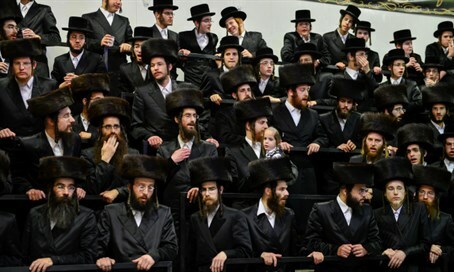 Orthodox residents of Monsey, NY stunned by alleged statements of county executive calling to 'stop growth of Orthodox community'. The Orthodox Jewish community of Monsey, a town in Rockland County north of New York City, is in an uproar following publication of alleged statements by a public official calling for the diversion of state funding away from the community, with the expressed purpose of reining in population growth among local Jews. At the center of the controversy is Rockland County Executive Edwin Day, a retired Bronx detective, who according to the testimony of Human Rights Commissioner Sreeramulu Nagubandi, had pressed to have public funds denied to the city of Ramapo in a bid to curtail the growth of the city’s Orthodox Jewish community. The city of Ramapo includes heavily-Jewish hamlets like Monsey and Spring Valley. Aron Wieder, a county legislator, blasted Day for the alleged comments.